Jon Miller is the Director of the International Center for the Advancement of Scientific Literacy (ICASL) in the Institute for Social Research (ISR) at the University of Michigan. Jon has measured the public understanding of science and technology in the United States for the last three decades, and has examined the factors associated with the development of attitudes toward science and science policy. He directed biennial national surveys for the National Science Board for 20 years, the results of which were reported in Science and Engineering Indicators. He has pioneered the definition and measurement of scientific literacy and his approach to the public understanding of science has been replicated in more than 40 countries. He continues to conduct studies of the public perception of science in the United States and other nations. Jon is the Director of the Longitudinal Study of American Youth (LSAY), located in the Institute for Social Research at University of Michigan. The LSAY began in 1987 with national samples of 7th and 10th grade public school students and has followed these students for the last two decades. The LSAY data base is one of the longest longitudinal studies of students and young adults in the United States. The LSAY is initiating a new cohort of 7th grade students in the fall of 2014 and plans to follow these students into adulthood. Jon has published four books - Citizenship in an Age of Science (Pergamon Press, 1980), The American People and Science Policy (Pergamon Press, 1983); Public Perceptions of Science and Technology: A comparative study of the European Union, the United States, Japan, and Canada (Foundation BBV, Madrid, 1997); and Biomedical Communications: Purposes, audiences, and strategies (Academic Press, 2001) - and more than 50 journal articles and book chapters. He is a member of the Editorial Board of the journal Public Understanding of Science (Sage: London) and Science Popularization (Beijing). Jon is a Fellow of the American Association for the Advancement of Science. 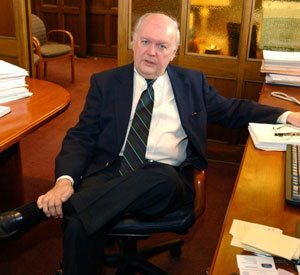 He was a Sigma Xi National Lecturer for two years between 1989 and 1991. Currently, he is a member of the Subcommittee on Planetary Protection for the National Aeronautics and Space Administration. Jon's expertise in the measurement and analysis of the public understanding of science and technology is recognized internationally. He served as President of the International Council for the Comparative Study of the Public Understanding of Science and Technology for six years. He has served as a consultant to the European Commission, the National Institute of Science and Technology Policy in Japan, the Council of Canadian Academies, and the China Association for Science and Technology. Pamela Davis-Kean is an Associate Professor of Psychology and Education and serves as Associate Director and Co-Principal Investigator of the Longitudinal Study of American Youth (LSAY). Pam’s research has focused on the various pathways that socio-economic status (SES) of parents relates to the outcomes of their children. Her primary focus continues to be on parental educational attainment and how it can influence the development of the home environment throughout childhood, adolescence, and the transition to adulthood. Achievement is the primary outcome that she studies and she is an expert in the use of standardized test with children as well as using any type of assessment with young children. 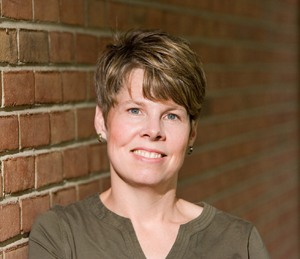 In addition to her LSAY role, Pam serves as the director of the University of Michigan Center for the Analyses of Pathways from Childhood to Adulthood that examines important developmental questions by replicating analyses across multiple developmental datasets both in the U.S. and abroad. Linda Kimmel is Associate Director of the International Center for the Advancement of Scientific Literacy and Associate Director of the Longitudinal Study of American Youth (LSAY) in the Institute for Social Research at the University of Michigan. Linda has worked with Professor Miller for the last twenty years on the measurement of the public understanding of science and technology and on the factors associated with the development of attitudes toward and an understanding of science and technology. She is particularly interested in issues concerning the information acquisition behaviors of women. Linda has worked extensively in the management of complex data file systems and in the analysis of longitudinal data. She has conducted workshops in the coding of complex responses, scale construction, and structural equation modeling. She has trained and supervised numerous graduate students and undergraduate students in methodological issues related to survey research, and cross-sectional and longitudinal studies. Linda is co-author of Biomedical Communications (2001) with Professor Miller. She is the author or co-author of journal articles covering a range of issues from gender differences in attitudes toward animal research and nuclear power to scale development. Megan Tyler is a Research Technician in the LSAY. Megan has a Bachelor’s Degree in Secondary Education with an emphasis in Social Studies and a Master’s of Arts Degree in Curriculum and Instruction, both from Arizona State University. Megan has five years of experience working as a teacher in the public school system including in the online education environment. In the LSAY, Megan works directly with Professor Miller to manage and administer key aspects of data collection and correspondence with schools and participants involved with the LSAY. She also supervises the work of University of Michigan students who are employed in the LSAY.